Ecovez™ Biodegradable iPhone 4 Case by Innovez is a transparent slider case with high gloss finish. 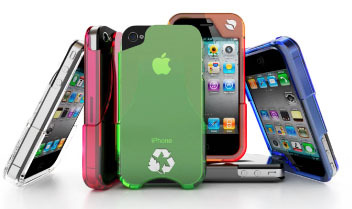 The Biodegradable iPhone 4 Case is fabricated with EcoPure, an advanced biodegradable transparent material. Its durable polycarbonate shell protects your iPhone 4 from bumps and scratches. This iPhone 4 case is an environmentally friendly way to protect your device. 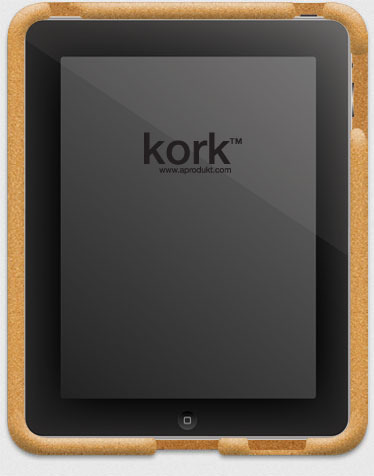 The Kork™ For iPad by A PRODUKT is a lightweight iPad case made from recycled and recyclable natural cork. This eco-friendly, ergonomically designed iPad case lets you comfortably hold your iPad in various angles and positions. The Kork™ natural protection for iPad is ruggedness and aesthetics, all in one. 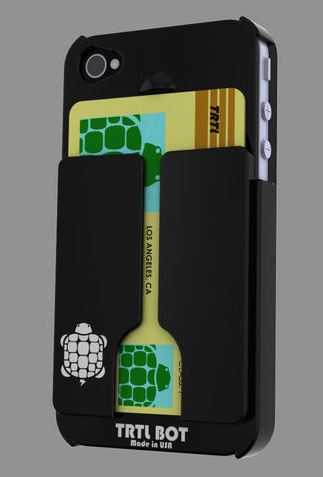 The Minimalist iPhone 4 shell by TRTL BOT is made from recycled plastic bottles. The iPhone case also serves as a holder for up to 3 ID or credit cards and has full access to all ports and controls.